Timothy Peters, driver of the No. 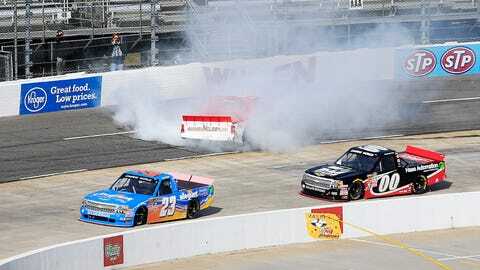 17 truck, spins out during Saturday's Kroger 200 at Martinsville Speedway. Matt Crafton inched closer to the pace being set by Erik Jones in the Camping World Truck Series points standings by winning the wreck-filled Kroger 200 at Martinsville Speedway on Saturday. 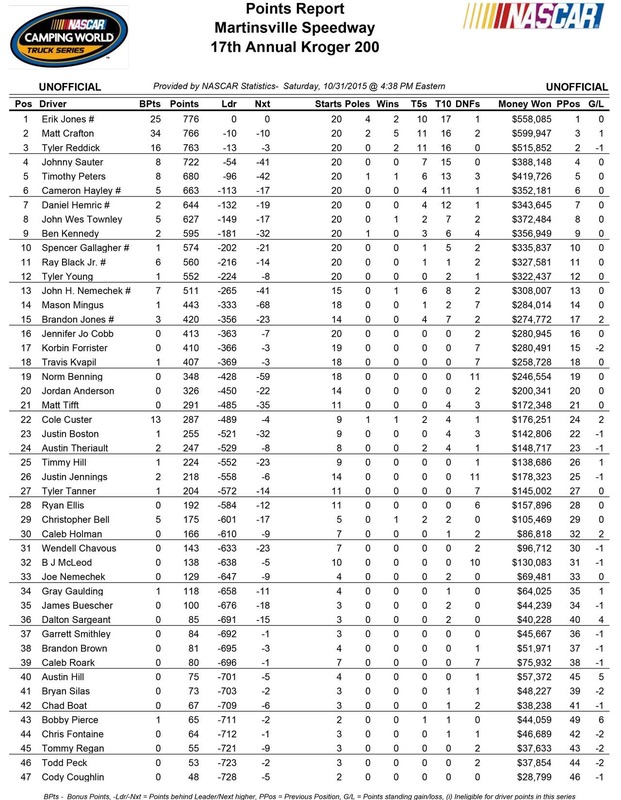 Jones finished 10th in Saturday’s race, and saw his lead in the standings shrink to 10 over two-time defending series champion Crafton and to just 13 over Tyler Reddick, who is in third.